Zach was drafter in the twentieth round of the 2001 amateur draft by the Pittsburgh Pirates. He made his MLB debut for Pittsburgh on July 2, 2005, starting in Milwaukee against the Brewers. Duke lasted seven innings, but still got a no-decision. 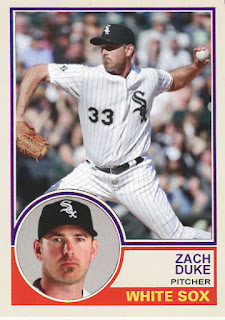 Zach was fifth in Rookie of the Year voting and even made the All-Star team in 2009 as a representative of the Pirates. 2011 saw Duke join the Arizona Diamondbacks. It also saw the last of his regular starts, as he saw more of the bullpen in the middle of July 2011, in long relief. 2012 brought a stint with the Washington Nationals, until he was released in June 2013. Cincinnati picked him up for the remainder of the 2013 season. It was with the Reds that Zach started to revitalize his career. In 2014, he received an invitation to spring training with the Milwaukee Brewers. He made the club as a left handed specialist. The success in Milwaukee led to a three year contract with the White Sox in 2015, where he settled in nicely as part of one of the best bullpens in baseball.